So far today has been a busy day! This morning the Preppies began their Prep TX by starting off with a Bag Drag where all the Preppies had a backpack filled with supplies. They were lined up and ordered to take everything out of the bag to make sure they packed correctly. Once all of their supplies were marked down, the teams had to do 10 push-ups for each item that was missing. After a nice little break, the Prep School started the Amazing Race. 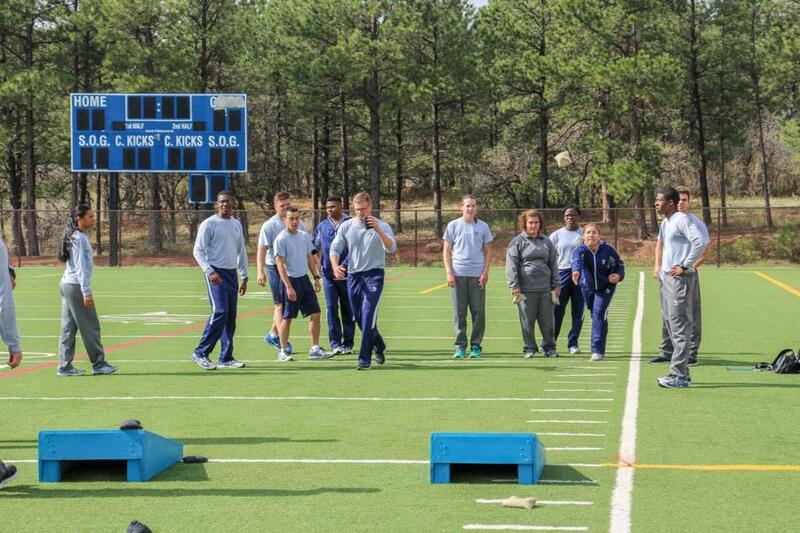 The race consisted of a series of different stations that each team had to complete in whatever order they wanted to. On the soccer field, the teams played a bean bag toss. They had to make 21 points on the dot by throwing the bag in the hole for three points, or on the board for one point. 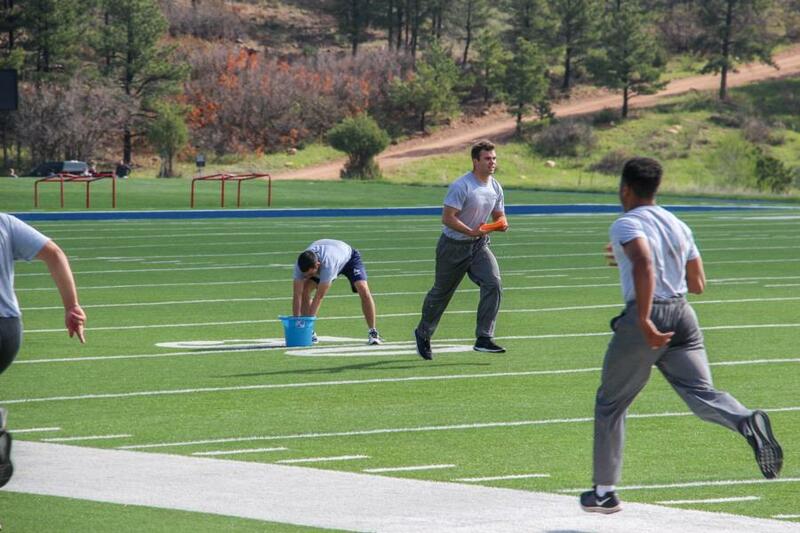 On the football field, the teams did a relay race where they used a sponge to carry water from a bucket on one end of the field to a bucket on the other end. 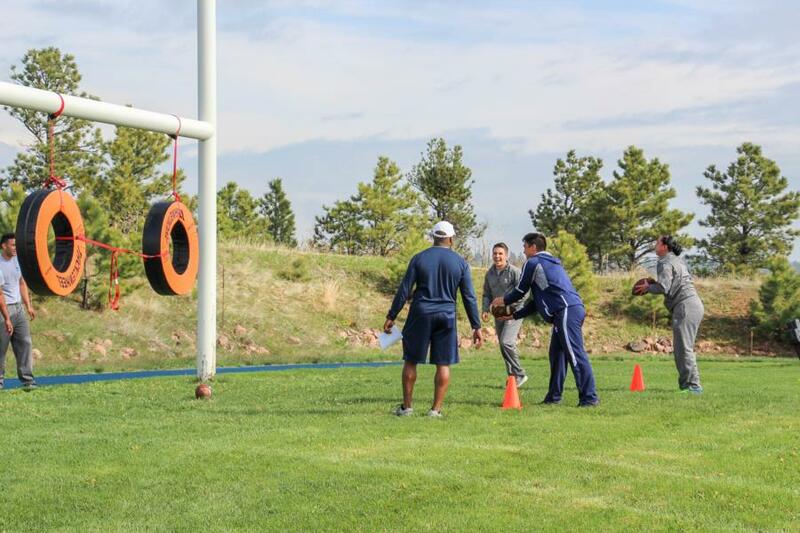 The other relay race they completed was a bear crawl that led to them tossing a football through a hoop. 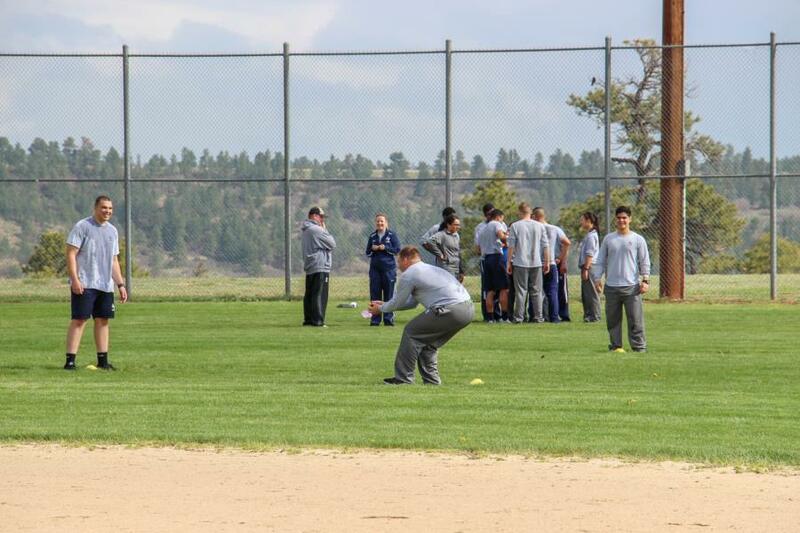 On the baseball field, the teams had to toss a water balloon from one person to another down a line. 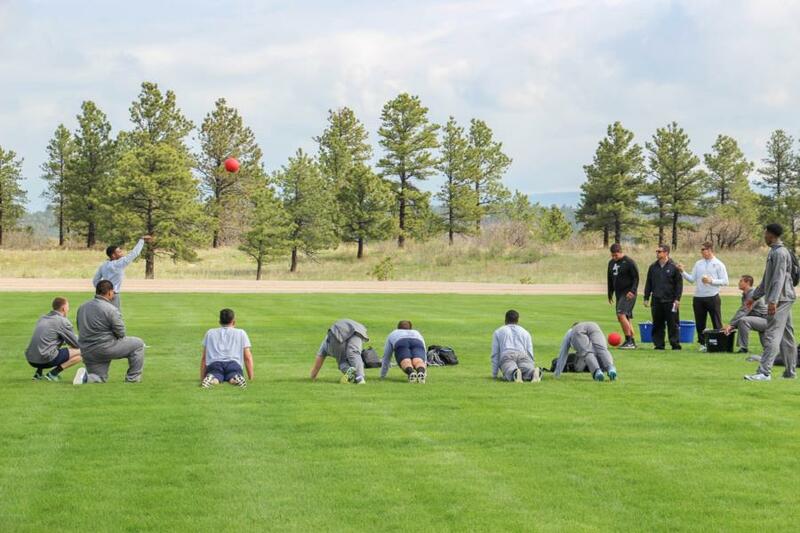 If they dropped the balloon, the teams had to do squats or push-ups. 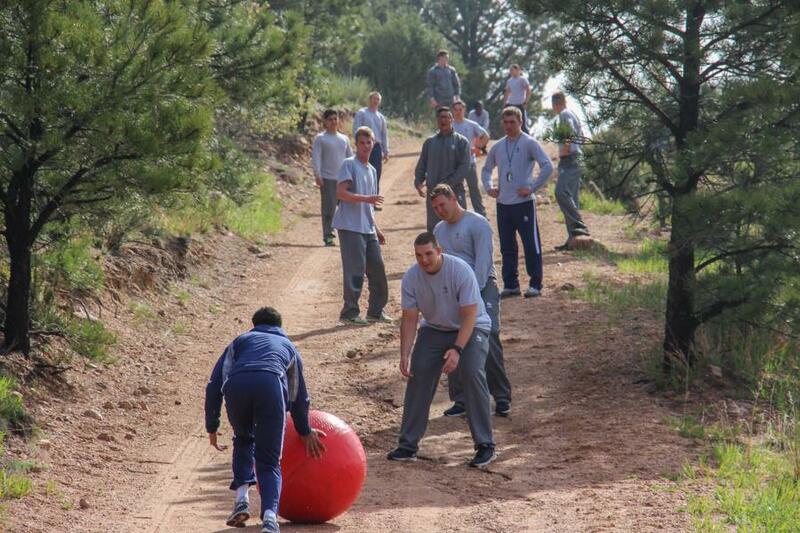 One of the more entertaining stations to watch was where the teams had to push exercise balls up a hill. 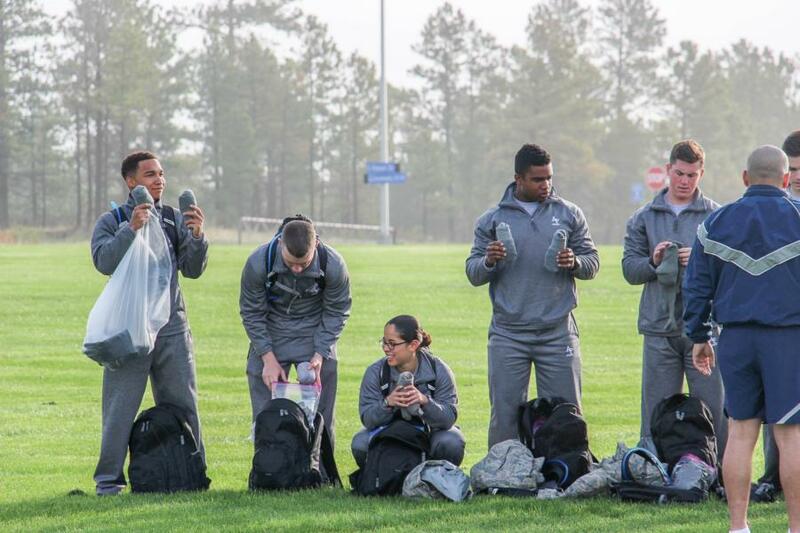 On the parade field, the teams had to throw a ball into a bucket while their teammates did planks or were running across the field. 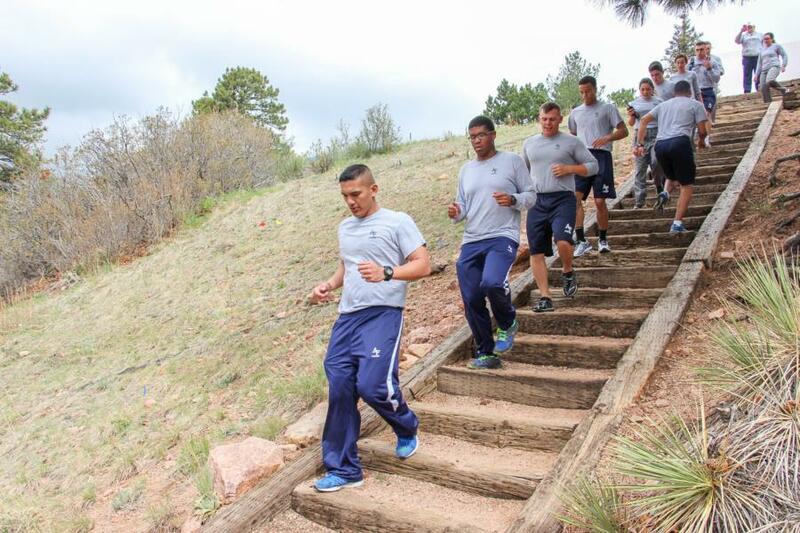 One of the more physically demanding stations was where the teams had to run down and then back up the Stairway to Heaven. 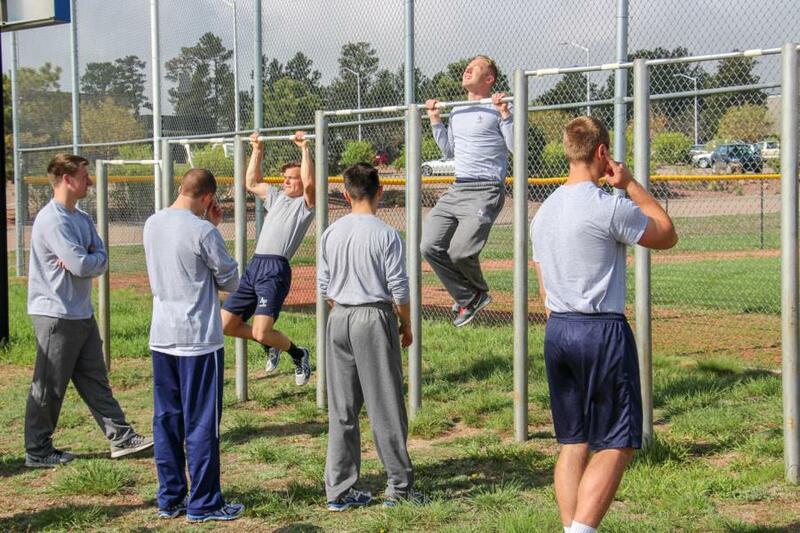 There was also a pull up station the teams had to complete. 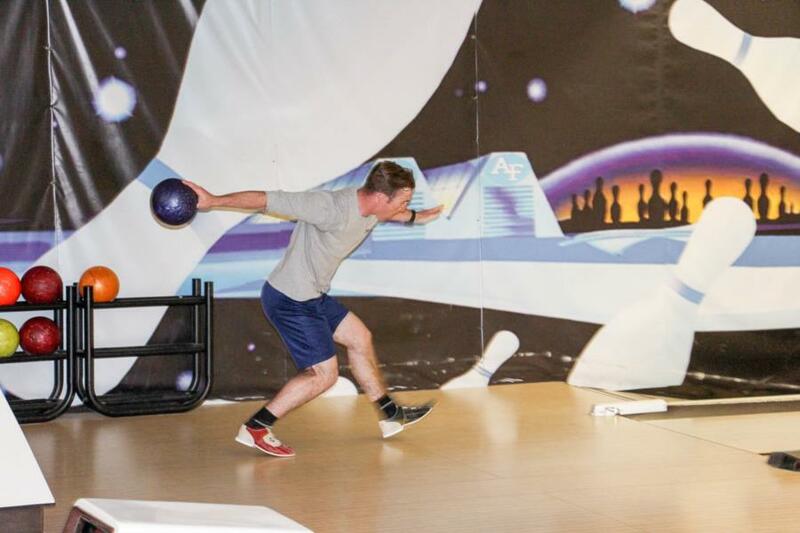 Finally, the teams were able to head into the bowling alley where they took turns bowling and answering quiz questions. To view the rest of the pictures from this morning, go to Classes - Prep School - Prep TX. Or click the link below.